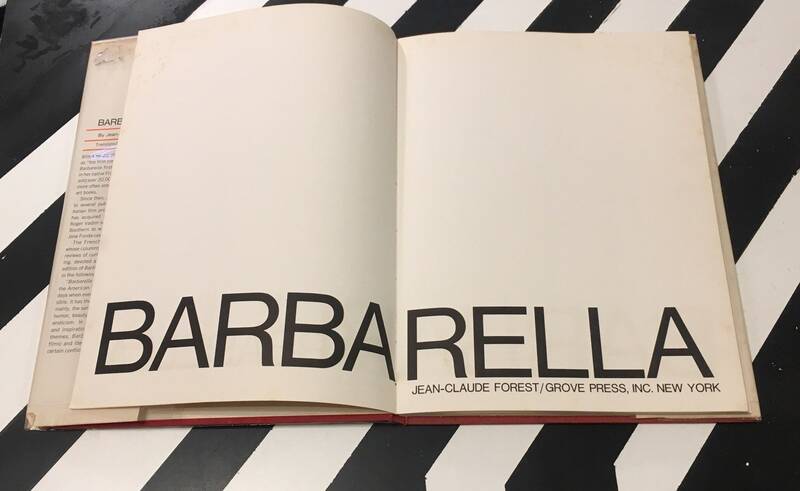 New York: Grove Press, Inc., 1969. 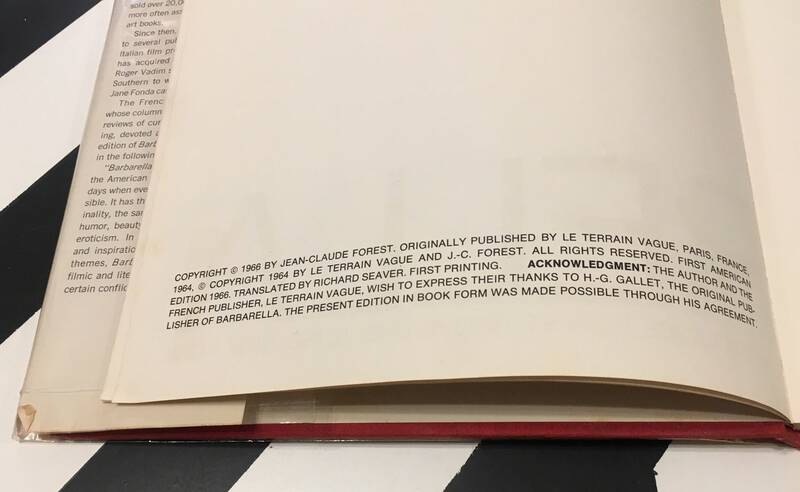 (First edition was published originally in France by Le Terrain Vague). First American Edition. Maroon boards with gold lettering at spine. 68 illustrated pages. 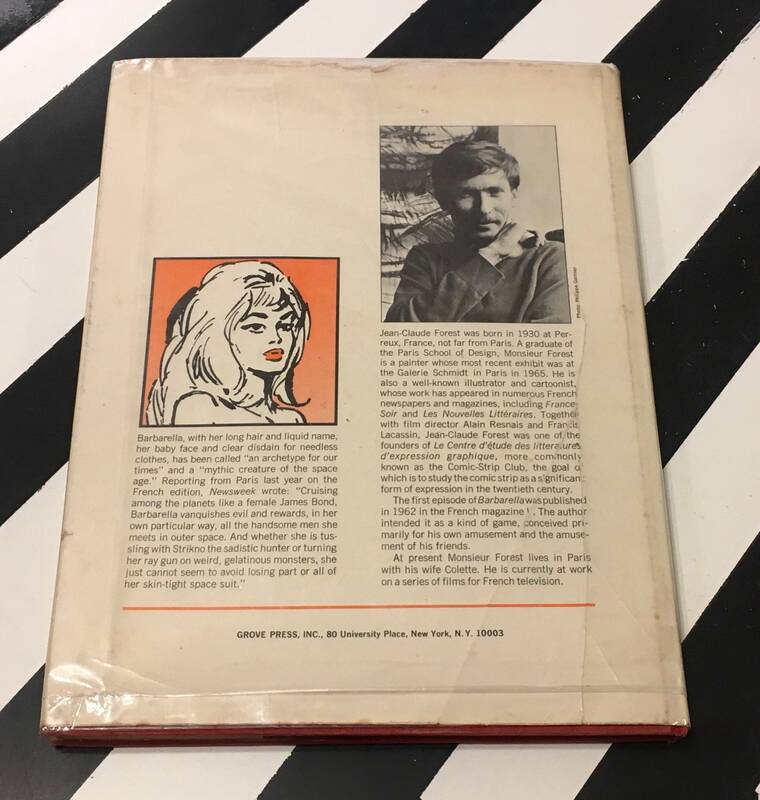 Illustrated graphic novel. Fair condition. 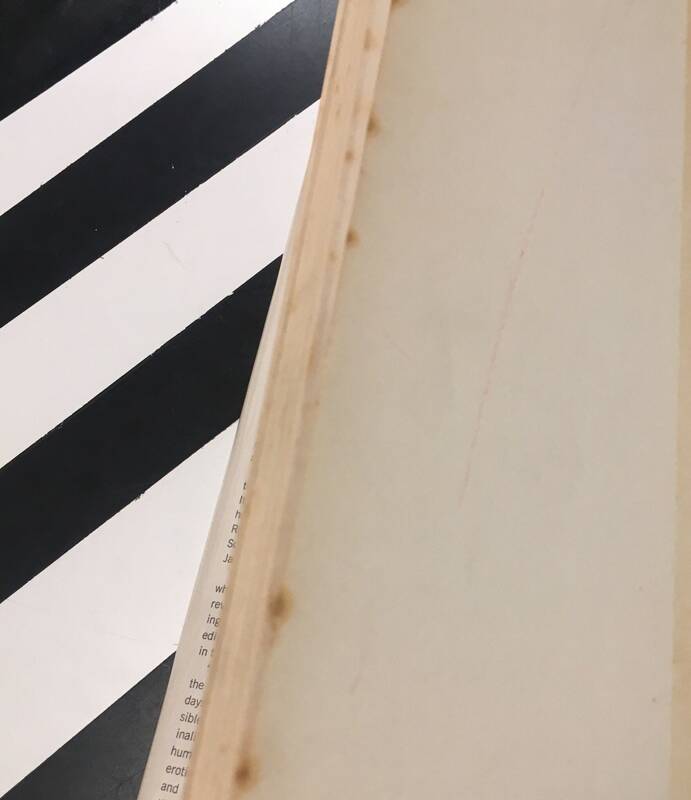 Toning, discoloration, creasing, smudging, rubbing, and scratching to inner boards, endpapers, text-block edge and pages of the text. 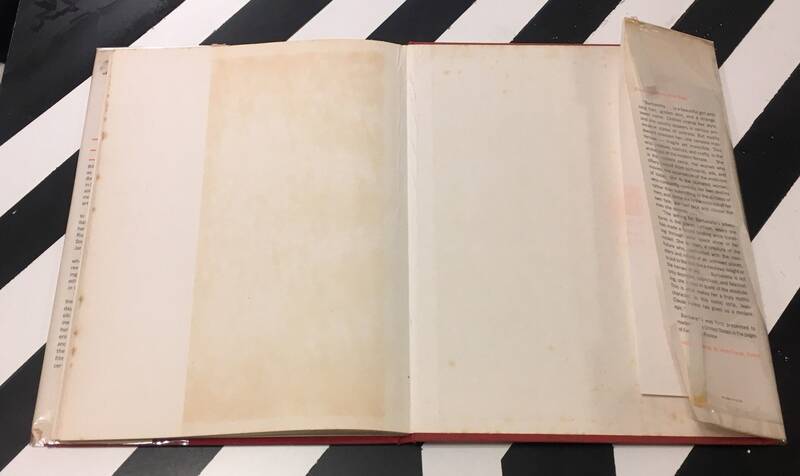 Toning most visible at the front and rear endpapers (see photos). A small area of damage to the upper, right-hand corner of the front endpaper (from a previously removed sticker). 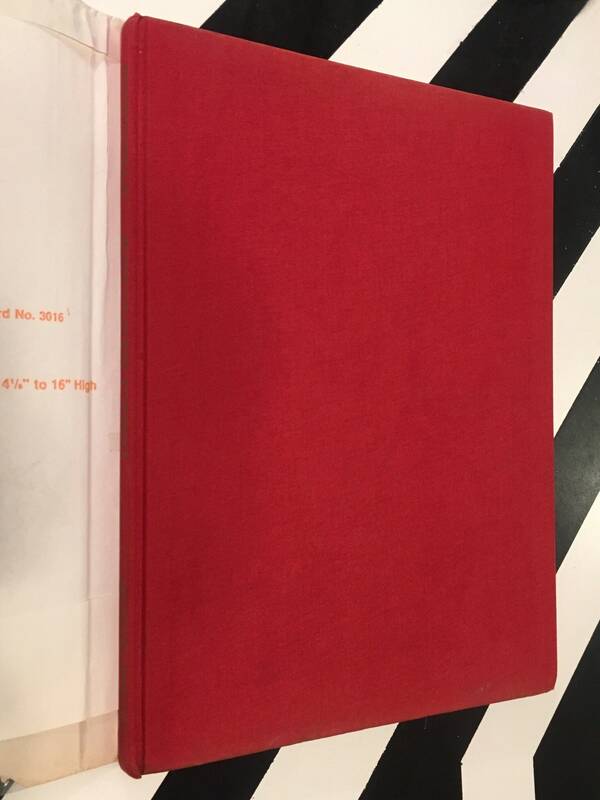 Faint red grease pen marking to rear endpaper (see photos). Some fading to the periphery of the boards. 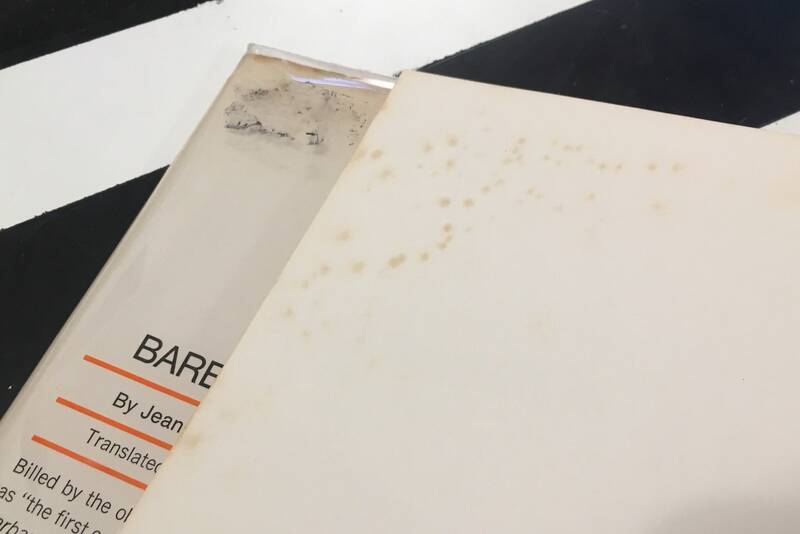 The dust jacket is housed in protective plastic and is in fair condition. The dust jacket is not price clipped. Shelf-wear. 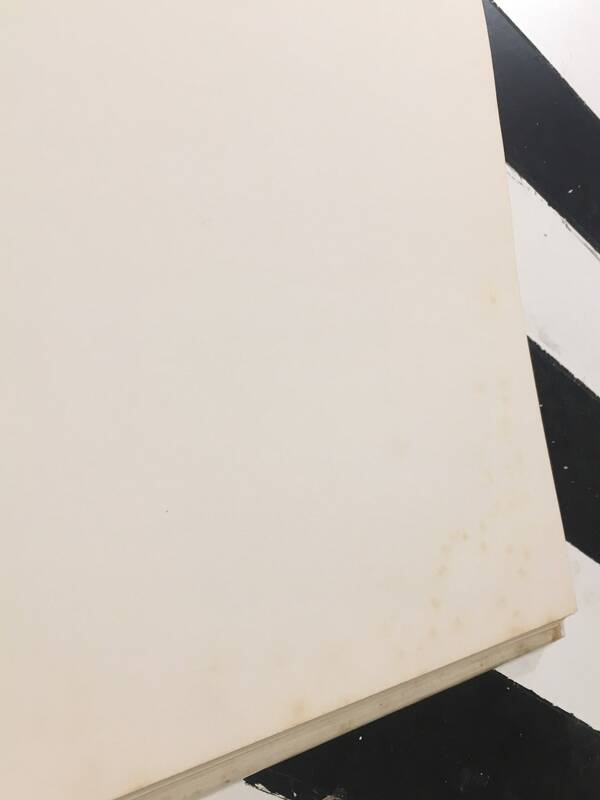 Toning, creasing, scratching, rubbing, foxing, bumping, and areas of discoloration to all faces of the dust jacket. 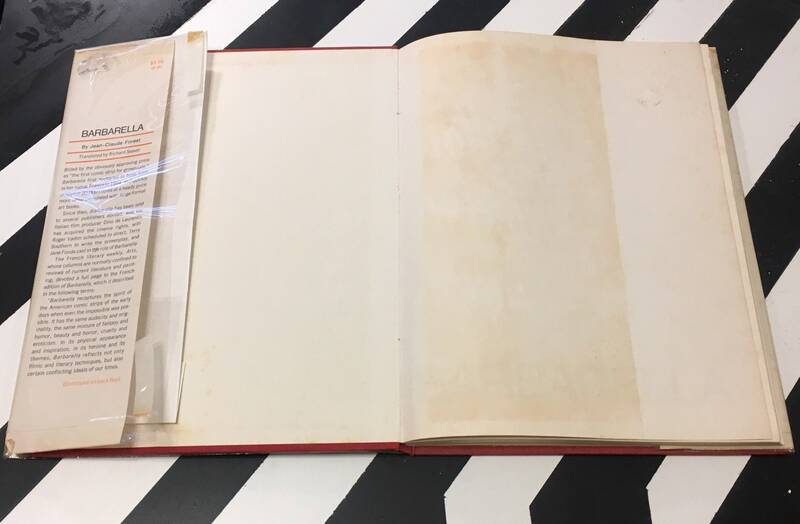 Small closed and open tears to the entire periphery of the dust jacket (see photos). 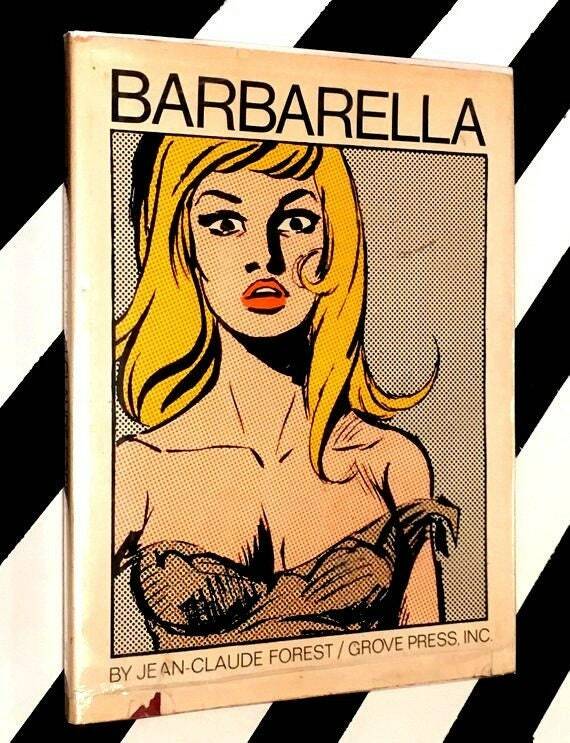 Barbarella is a funky, outrageous space-epic-graphic novel by Jean-Claude Forest. It is the basis for the campy 1969 film directed by Roger Vadim and starring Jane Fonda.